By vince, September 3, 2013 at 8:51 am . Review by George Hari Popescu, assistant professor at the School of Journalism and Mass Communication Studies from the University of Bucharest, Romania. 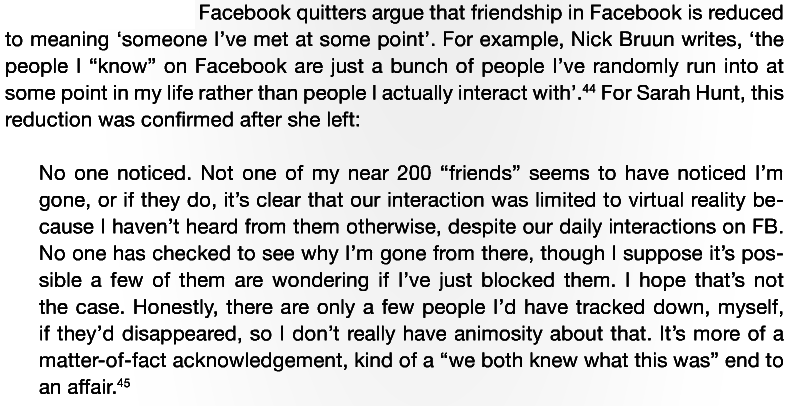 I tried to get out of Facebook a few times. It was an excruciating process which ended with a failure every single time. Mark Z.’s buddies held on to me for a whole week, through email, showing me photos of the “friends” who would have missed me (and they had quite a lot of examples, considering I have over 2000 friends), while they also showed me the benefits of staying on Facebook. And I stayed, what was I to do? Can you see the matrix? It’s comforting to read about what’s going on behind some things you’re so used to that they don’t arouse questions anymore. Facebook remains a closed network, but it had spread globally and it tends to become an Internet no. 2 (besides, Mark Zuckerberg mentioned a few times that he wants Facebook to become a global network). The collection of studies titled Unlike Us Reader. 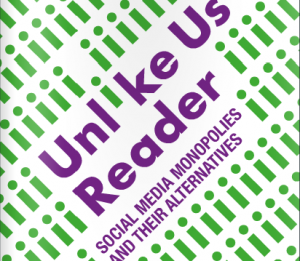 Social Media Monopolies and Their Alternatives edited by the famous Geert Lovink and Miriam Rasch offers a critical approach towards the renowned social network and the social media domain in general. There, you can find essays, discussions, cultural manifestos. The network is explained and analyzed, the paper offers a lot of answers and you’ll find yourself exclaiming “a-ha!” quite a few times while reading. I tried a few experiments with Facebook. – Changing my birthdate. I offended some petty people a little bit and I’ve also been a little bit praised by mighty people. – Like and Share in exchange for my students’ timetable. 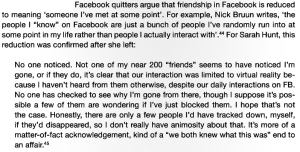 – Most of the times, I ask a simple question to the ones who request my friendship: Do I know you personally? I hope I never get to see the day when I’ll have to justify myself excessively or to explain my own jokes. Facebook is a powerful instrument nowadays, we have to experiment with it in every possible way we can think of, just as we experiment in our everyday life with gestures, words, feelings. Just like in real life, we accumulate frustration. – I post photos where I shield my belly etc. For the time being, I feel comfortable with my digital life. The fact is that giving up on this lifestyle is just an illusion, for certain generations of people. I recommend this digital reader to the students of the Journalism Faculty and Communication Science who started their thesis and dissertation on social media, to PhD candidates with an inclination to this domain, to researchers of all kinds and to the youngsters who use Facebook on a daily basis and have medium knowledge of English.